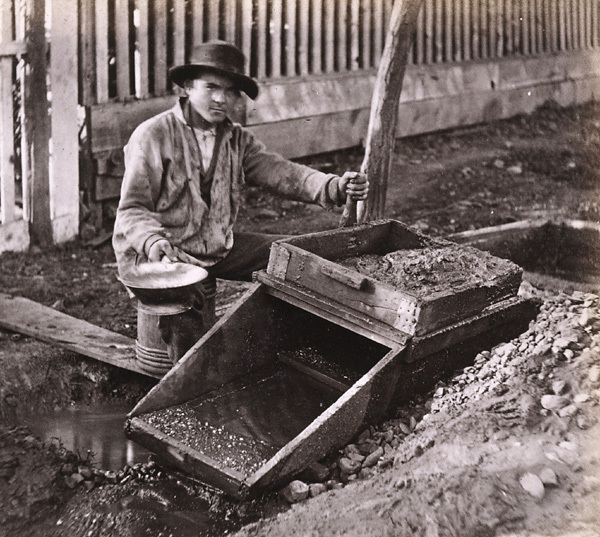 The rocker box, or "cradle," was a popular tool used by miners during the early gold rushes. 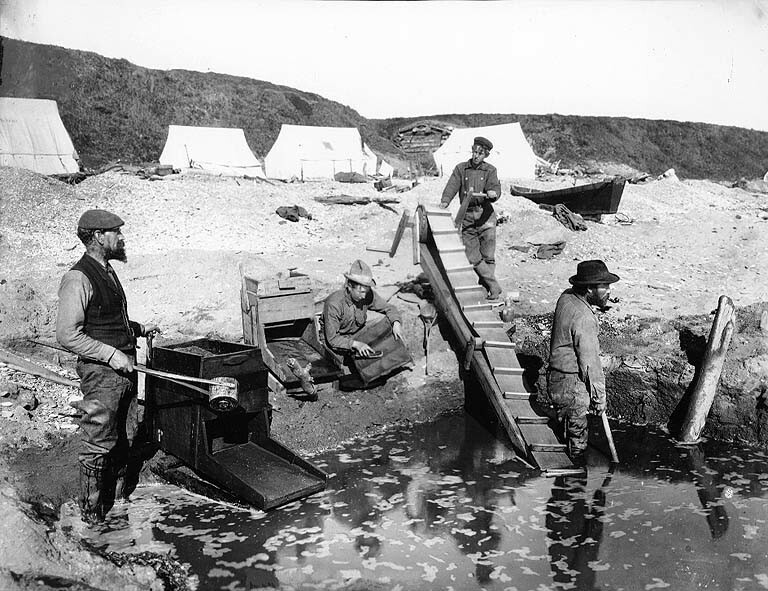 They were portable devices that were able to capture much more than just a gold pan alone. Their design was relatively simple. Rather than using an active flow like a sluice, water was fed into the head of the rocker box manually using a tin can. 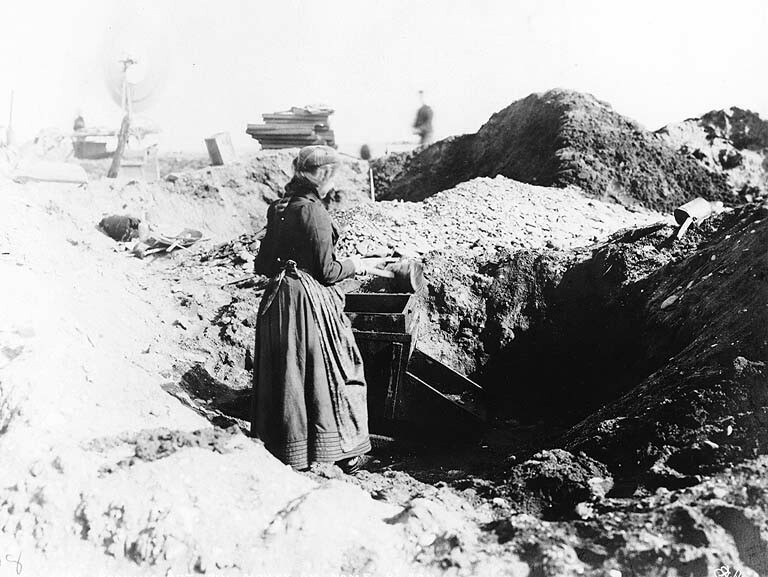 Miners would usually nail it to the end of a stick so they could ladle water into the box. As water was poured into the top, they would rock it back and forth like a cradle. This action would help to separate the lighter material from the heavier gold and black sands. A classifier screen at the top of the rocker would help separate out larger rocks. If a big rock or stick made its way into the box it would effect the recovery rates and fine gold would be lost. Screening out the bigger material was important back then, just like it is now. 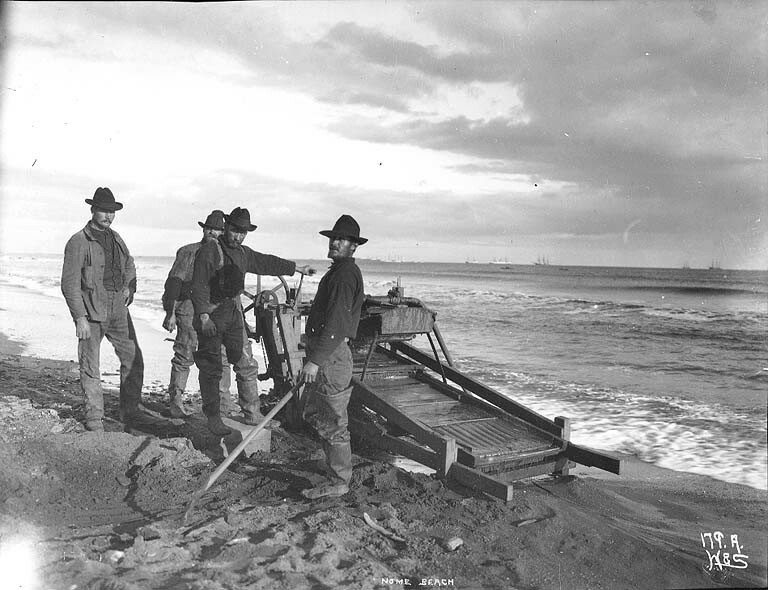 Most rocker boxes were simple one-man operations, but in some places like on the beaches of Nome, miners would construct large rockers that could be fed lots of material and were worked by several men. Rockers worked well at goldfields all throughout the world. In more arid environments, only a trickle of water was needed to work one. They were constructed of wood and other simple parts. 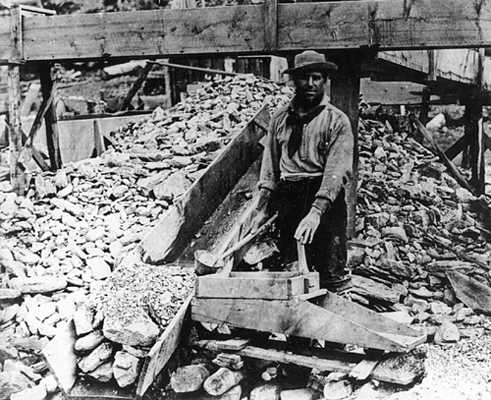 Even in remote goldfields miners could use wood and nails to put together a functional rocker box. By todays standards, they probably weren't all that efficient, but at the time they were a very handy device. Particularly for the individual miner who had limited equipment. 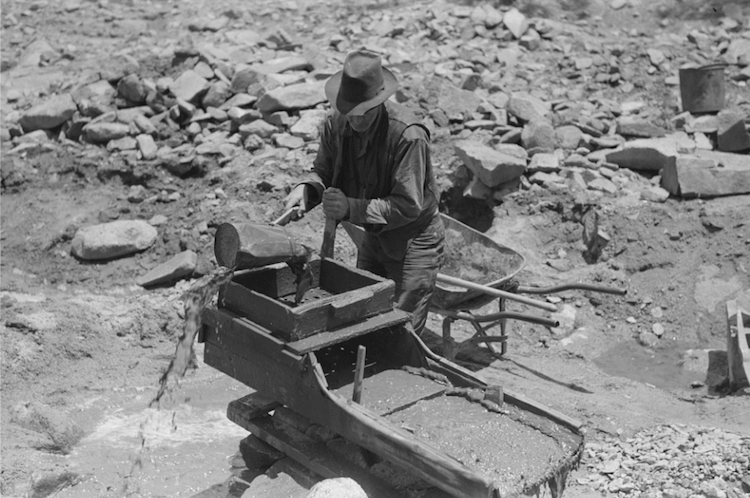 They allowed a miner to process 2 or 3 times more gravel than if they were just panning. 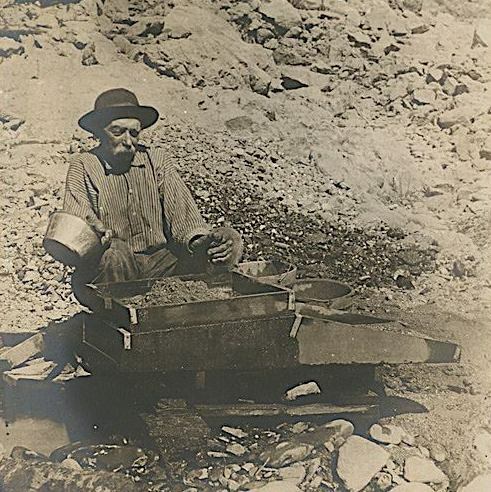 Today, most prospectors use sluice boxes with quality miner's moss. The recovery rates are better, and you don't need to constantly rock the box like a cradle. 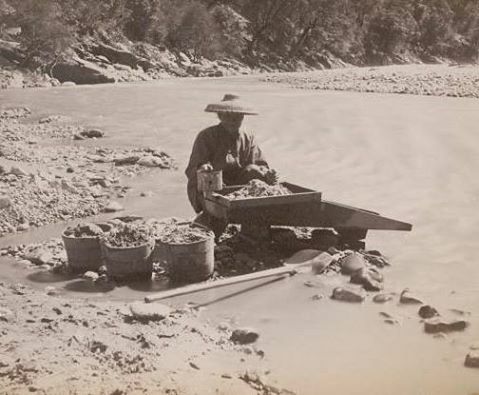 You don't seem many rockers being used these days, but they were a common sight in the early goldfields.